The control and clamping levers move in opposite directions. 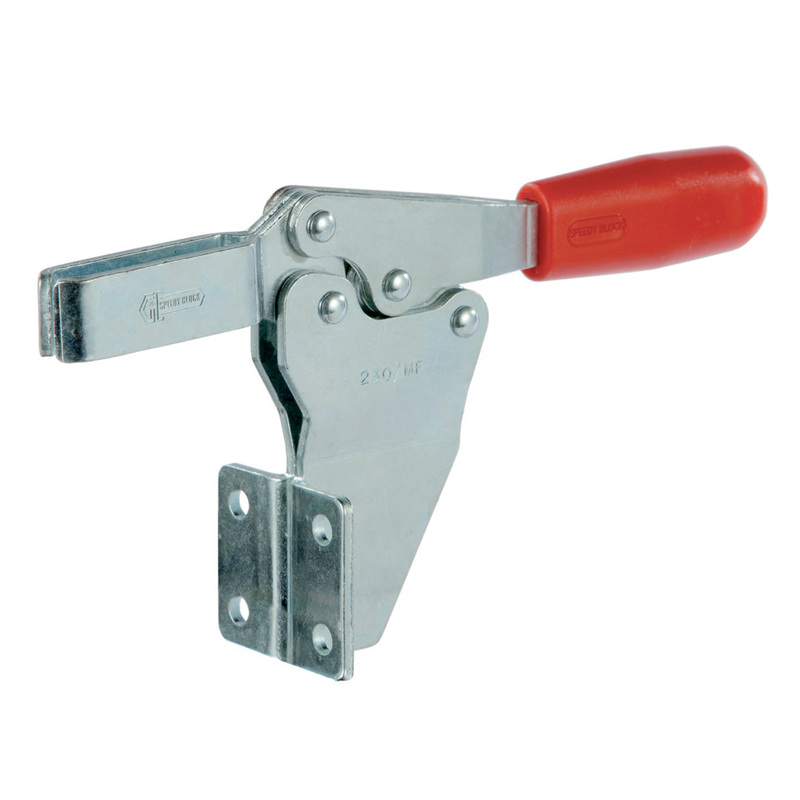 When clamping is obtained, the control lever is in the horizontal position. 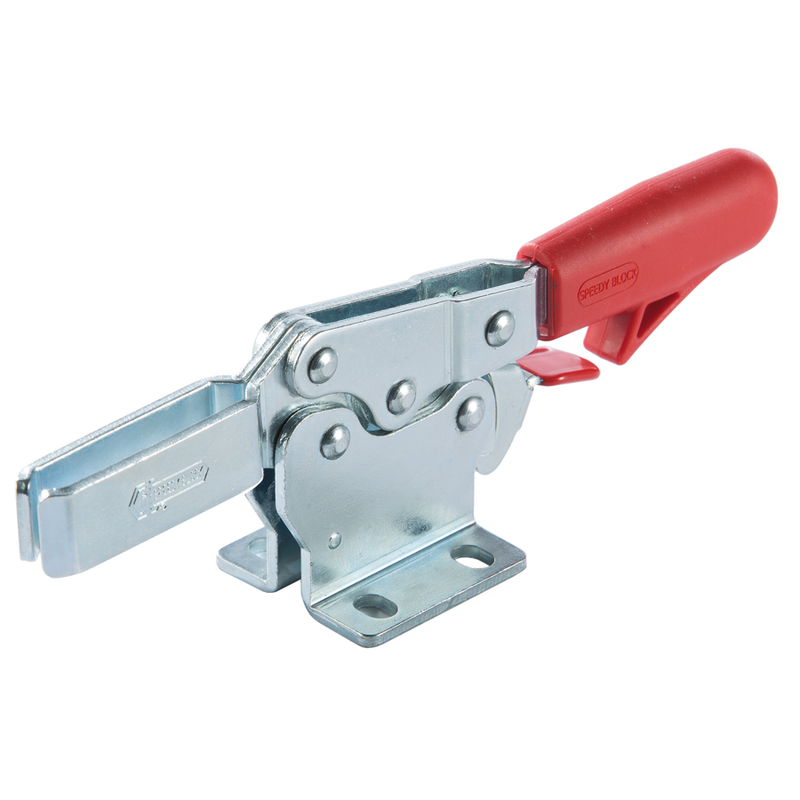 Available with clamping forces between 40 and 620 daN. PERFORMANCE: Parts made of case-hardening sheet steel. Hardened and tempered supporting pivots. Supporting bushes (for sizes from 350 daN and over) undergo case-hardening and grinding. Finish: Galvanized. The shape of the tool ensures a safe distance between the clamping and control lever that prevents the operator's fingers from getting stuck during the opening of the tool. 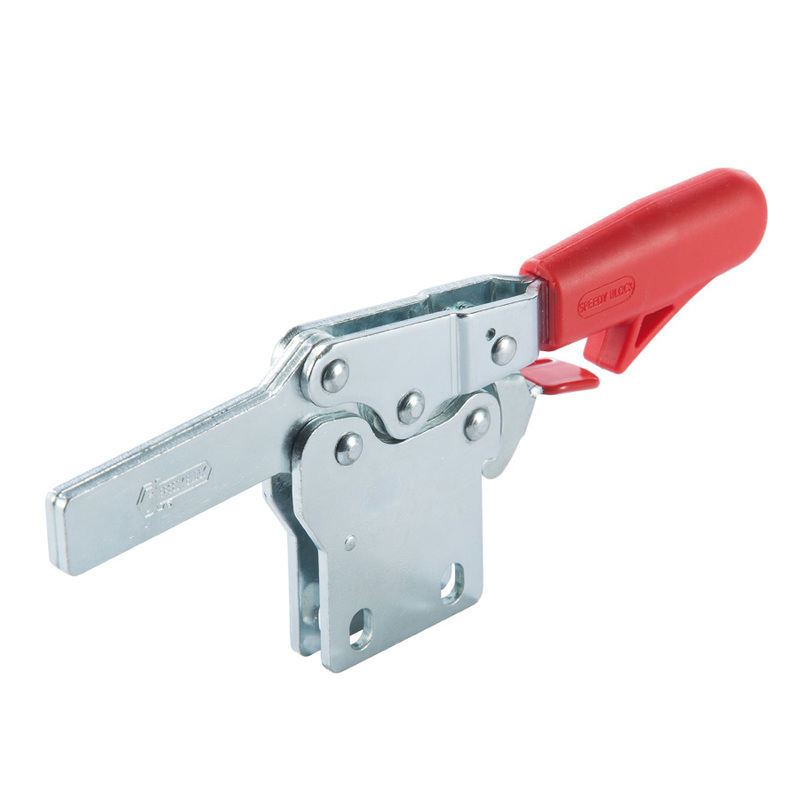 The clamping lever is guided in the locked position for additional stability any sideways movement. 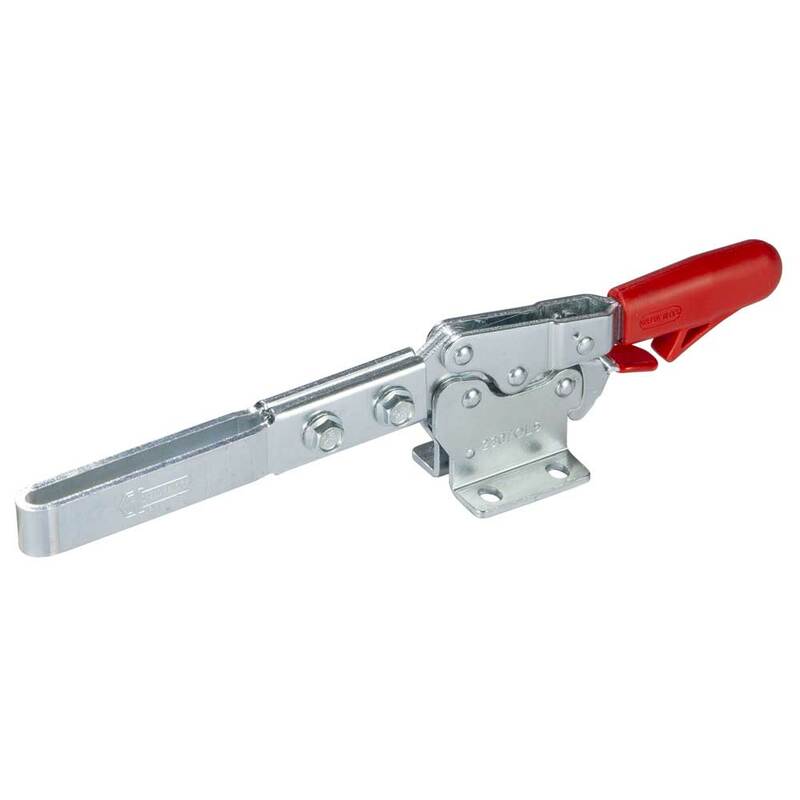 In order to prevent accidental openings, caused by vibrations, some tools of this series are provided with a device called, "safety device", suitable for maintaining the clamp in a closed position. Performance: Form NL and form NLX with open clamping lever and two flanged washers. 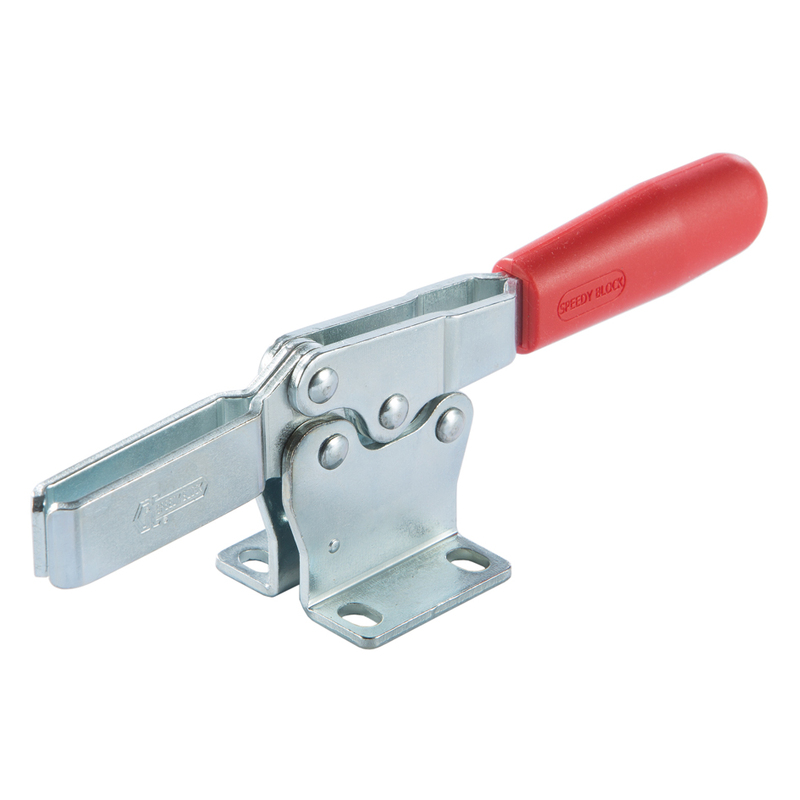 Form PL and form PLX with full clamping lever and bolt retainers to be welded in the desired position and angle. Supporting bushes:Hardened and ground steel. Performance: Form OLS with extended clamping lever and folded base. Form PLS with extended clamping lever and straight base. Extensions:The models are supplied with AP6 and AP8 extension as per the drawing and with two flanged washers . 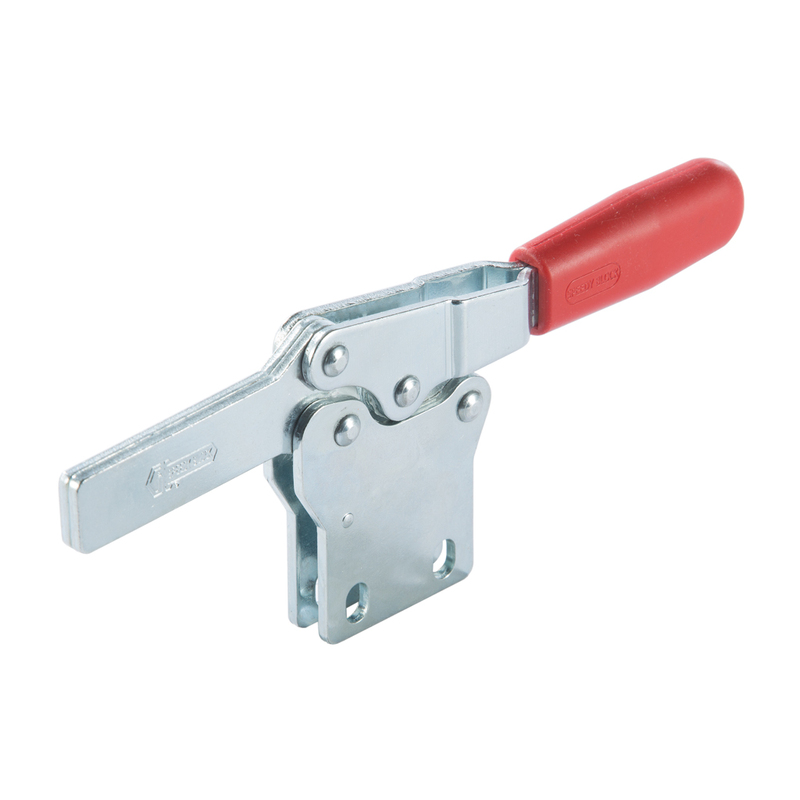 Features and applications:The main features of this series are the special anti-release lever and the special extension of the locking arm to facilitate the specific use in control templates; these tools are designed to prevent the operator's fingers from being crushed by the levers when opening. During the closing, the clamping lever is guided laterally to ensure greater stability against possible transverse stresses. A special grease is placed between two contacting surfaces during assembly.